These Aluminium Butterfly sword are composed to a blade wich is approximately the length of a forearm and a sword hilt to protect the hand. 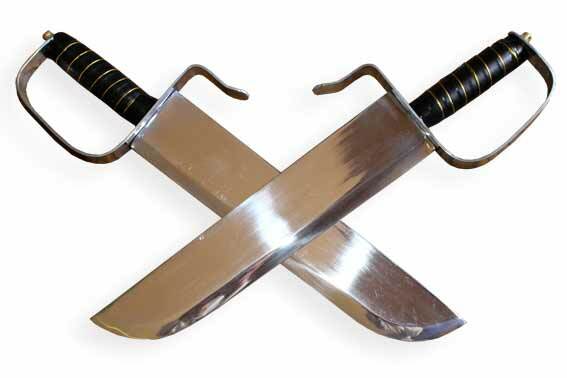 A lightweight aluminum blade, along with a sleek design make these great swords for practice!. Attached to a light wooden handle for comfort, you can hone your defensive skills to move up to the heavier blades. Ideal for decoration, training or competition. Set includes 2 blades. Total length 43cm, blade length 30 cm.